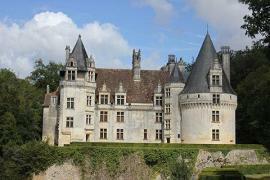 Saint-Jean-de-Cole is a medieval village in the north of the Dordogne near to Brantome. 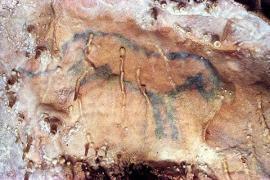 It dates back to the 11th century. 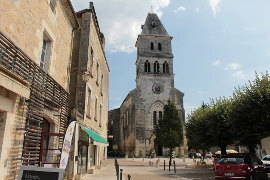 St Jean de Cole has been officially classified as one of the most beautiful villages in France (les plus beaux villages de France). A charming village with ochre coloured houses, including many half-timbered houses, and lovely tiled roofs. Indeed the roofs once won the ‘finest roofs in France’ competition. The river Cole runs along one edge of the river and you can stop and admire it from the lovely little humpbacked bridge or the small river beach below. This stretch of river is very green and tranquil. 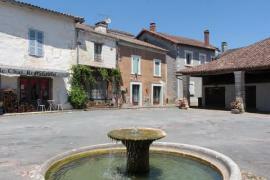 The village square, the Place de Saint Jean, is flanked on one side by the 12th century Chateau de la Marthonie. 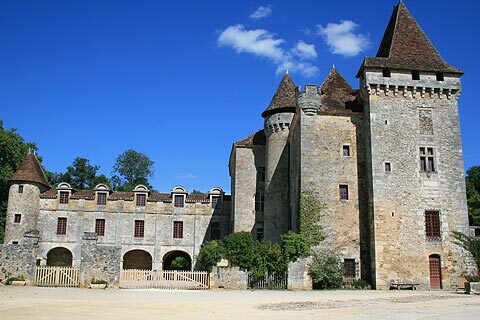 The castle has a XVth century part made up of towers and a donjon and is quite austere and added to this is a XVIIth century wing in a much softer style, built over a series of arches. One of its most famous residents was Mondot de la Marthonie who was a counselor to the Queen Mother of Francois I. 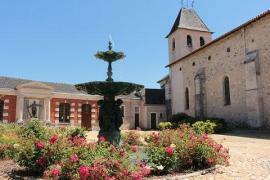 He also built the nearby Chateau de Puyguilhem. 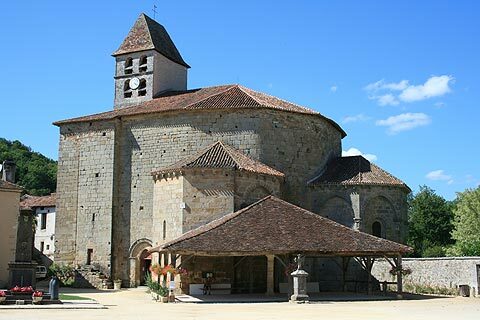 On another side of the square is the Romanesque Byzantine church of St Jean Baptist built in the XIIth century and with a quite unusual rounded shape. Combined the two buildings and the cottage-style houses on the other edge make the square very attractive. Sit and enjoy the view over a cup of coffee at the café! 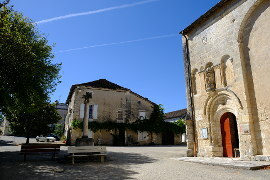 Another notable building in Saint-Jean-de-Cole is the 12th century Priory and cloister. 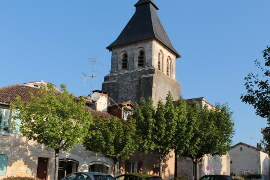 A good time to visit the village is during the weekend closest to the 8 May when they hold their annual flower fair. 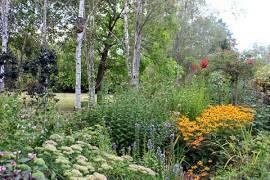 More than a hundred exhibitors display and sell their products and the mass of plants and flowers against the backdrop of this beautiful village is not to be missed. Worth seeing nearby are the stunning town of Brantome, the impressive Chateau de Puyguilhem and the caves and village of Villars. You can find more local travel ideas in the guide.